GET A FULLER HEAD OF HAIR FAST!Always wanted a fuller head of luscious thick glossy hair? Want to try a proven solution that is natural and more cost effective than any other treatment? Get healthy thick luxurious hair fast! Virgin Hair-loss Shampoo for women beats all others! Our Virgin Hair-loss Shampoo for women is the strongest formula available, with guaranteed results in 30 days, reported by 94% of customers. TRY IT NOW, get that beautiful full head of hair that you've always wanted! THICK GLOSSY HEALTHY HAIR - PERMANENT RESULTS!Our Virgin Hair-loss Shampoo for women has an immediate and permanent effect. Containing a unique blend of all-natural ingredients including herbs and extracts, this formula will improve your hair growth for good. You'll soon have such beautiful thick healthy shiny hair!! 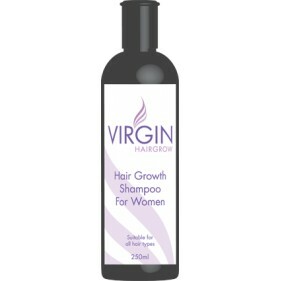 DEVELOPED EXCLUSIVELY FOR WOMEN!Virgin Hair-Loss Shampoo has been exclusively developed especially for women! The formula has been created to work with the women’s hair follicles in order to give you faster hair growth, for longer thicker and glossier hair! Our Hair Loss Shampoo has been made using all natural and herbal ingredients making it safer than all other treatments available. A FULL HEAD OF HAIR TO BE PROUD OF!Simply use our shampoo daily. You will see the effects virtually immediately! You will be amazed at how effective our hair growth shampoo is; once you try it you'll wonder why you didn't sooner. Effects normally start around the first 2-4 weeks of using our shampoo. 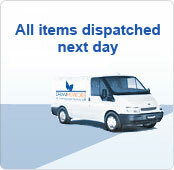 So don’t delay, get your Virgin Hair-loss shampoo today!